Colorado days are full of sunshine all year round, but sometimes it’s not enough, especially if you have an outdoor living space you want to enjoy past sunset. Lighting is key for safety and setting the mood, and when you design a custom outdoor kitchen with Artisan Outdoor Kitchens, you have plenty of options to consider. From appliances to accessories for warmth or shade, we’ll work with you to create the outdoor living space you’ve always wanted. 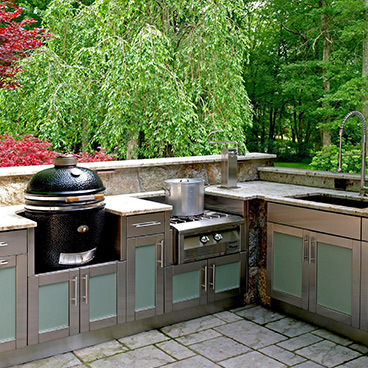 Read on for ideas on how to brighten up your outdoor kitchen, and contact Artisan Outdoor Kitchens today to bring your dream kitchen to life! Standing lamps are probably the first idea that probably comes to mind for lighting your outdoor space. They are easy to implement, since they don’t have to built into your kitchen space, and they can work with or without an overhead structure like a pergola. All you need is an electric outlet nearby, and the specialists at Artisan Outdoor Kitchens can add that to your custom layout plan. There are also near endless design options to choose from, so you can customize your lighting to your outdoor kitchen design for a cohesive look and feel. If your first concern is lighting up the grill so you can keep cooking after sundown, then a simple and affordable option to consider is a clip-on light. Some grills have built-in lighting, but if yours does not, you’ll want something to direct light right where you need it. Clip-on lights are the perfect practical solution for the cooking area. You can always find a more creative option for the seating area! When you want to add light and style to your outdoor living space, string lights are a great choice. There are many different varieties available, whether you are looking for something simple or something more artsy and complex, and you can often find them at any hardware or outdoor supplies store. If you have a pergola or awning, or you plan to install one, string lights can be a wonderful way to dress up your space. For a more eco-friendly choice, look for solar-powered lamps! Not only can they harness Colorado’s 300 days of sunshine a year, but they also offer a great lighting solution for areas of your outdoor living space where you don’t want to run electricity. One of the best ways to make your outdoor kitchen safer is to light up stairs and pathways, and solar-powered stake lamps are an easy solution. Another way to make your outdoor living space safer and more inviting is to invest in overhead lighting. There are challenges and limitations to replicating the type of lighting system most of us use indoors, but it offers the convenience of light at the flick of a switch without worrying about cords or stakes in the ground. 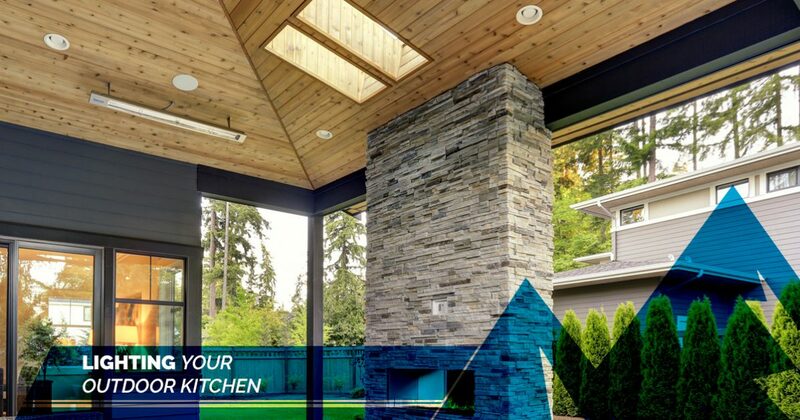 The design experts at Artisan Outdoor Kitchens can work with you to find the best way to implement overhead lighting if that’s your preference, but it will likely work best if you are building from an existing porch with a roof or another type of overhead construction. 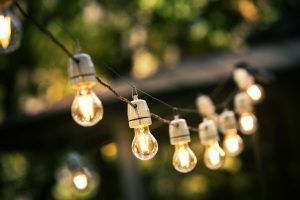 Lamps and string lights are, of course, not the only options you have to choose from when you are lighting and decorating your outdoor space. There are a lot of fun, creative accessories available that combine practicality and design. Lanterns, for example, can add ambience and a rustic touch to your outdoor kitchen and seating area. 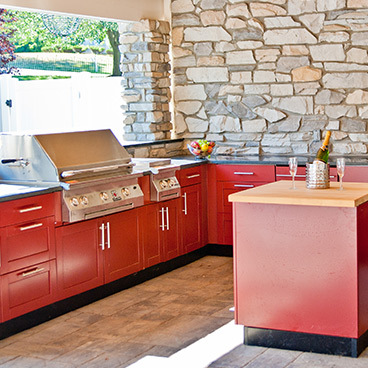 Explore our gallery of dream kitchens for inspiration, and schedule a consultation with Artisan Outdoor Kitchens today to get started!